How does a destination battle negative perceptions? Get creative and embrace your DNA. “We’re not Paris, we’re not New York, we certainly aren’t Amsterdam,” said Corinne Allie, Senior Interactive Media Manager at Destination Cleveland in talk during Destination Think!’s Social Media Tourism Symposium conference in Amsterdam. Instead of fighting against what people were saying, her team decided that the DMO’s best approach was to embrace its city’s quirks and activate an army of locals to tell their real story. Destination Cleveland has been hugely successful at shifting their city’s perception while maintaining realistic visitor expectations. But it wasn’t always this way, explained Allie. Cleveland bore the brunt of many jokes for several decades in the media, and got hit even harder when Cleveland native and prized NBA player, LeBron James, announced he was leaving the city in 2010. “Can you imagine promoting a destination when this is what celebrities are saying and the TV shows? …It’s been a really hard road,” she said, sighing. Yet with world-class amenities and $4 billion in tourism-related infrastructure development, people are starting to get excited about the city again. But Cleveland recognized that it couldn’t offer lists of Cleveland’s amenities and features to woo prospective visitors. They knew the needed innovate in order to overcome the perception problem that was masking their city’s potential. At the time, only 34% of Clevelanders said they would recommend the city to friends and family. So the CVB approached that 34% as an opportunity – activate those locals who love the city, and leverage their word of mouth. And by doing so, Destination Cleveland embraced what makes their city unique, lightened up the conversation and joined in on the jokes. How? They launched a grassroots, organic campaign focused around user-generated content tagged with #thisisCLE. At first, there were a few bumps but overall, the content began to spawn positive conversations within their communities. “If you don’t like what people are saying, change the conversation,” says Allie. By sharing and creating emotional content that Destination Cleveland knew would ring true to Clevelanders, the DMO inspired an outpouring of new content on the hashtag that allowed it to show their city in an authentic light. To support that, the team also ran a unique influencer campaign in which they selected 6 bloggers from different niches who resided outside of Cleveland but who fit their target markets, and paired them with six local influencers. The six local influencers planned itineraries and hosted the visiting bloggers, so they could have a truly authentic experience during their stay. The efforts paid off. They raised the referral percentage level to 54% via positive and truly homegrown content. Corinne also had a tip: don’t forget to share your campaign results within your organization – it’s important for validating your work, as well as boosting team morale. Showcasing their city’s true personality and grit through #thisisCLE and matching influencers with local bloggers, Cleveland’s perception among prospective visitors has now forever been changed for the better. 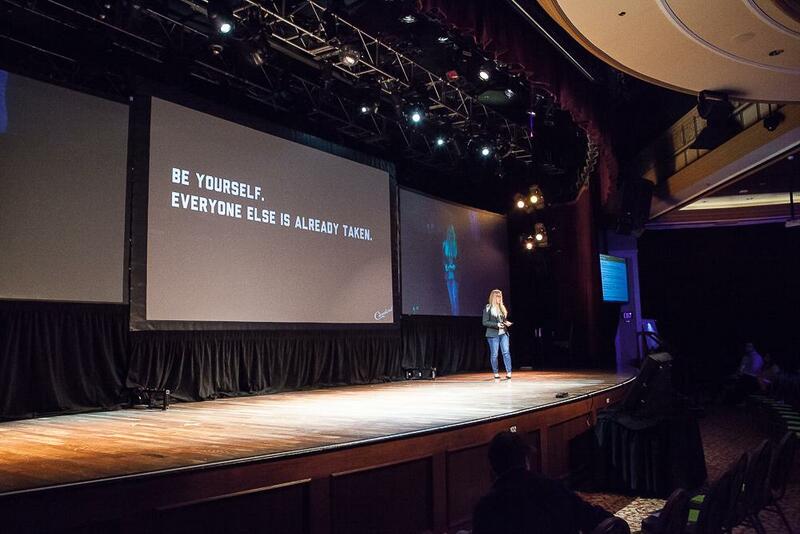 Corinne spoke about “Mobilizing your true brand” at #SoMeT15EU in Amsterdam and #SoMeT15US in New Orleans. Watch Corinne’s presentation below. To see her slide deck, click here. Content Strategist at Destination Think! Mikala is a writer, editor and photographer and Think!’s content expert who has worked with online communities for 14 years. She oversees our international team of content managers and guides content strategy for our campaigns, workshops and research. She is an avid traveller and has lived in Toronto, Vancouver, Copenhagen and London. In addition to her online day job, she runs the music website backstagerider.com, as well as two personal Twitter accounts, plus Facebook, Instagram, Pinterest, YouTube, G+ and Vine accounts. She is never not generating content (stopping only to sleep). « Will destinations benefit from virtual reality?